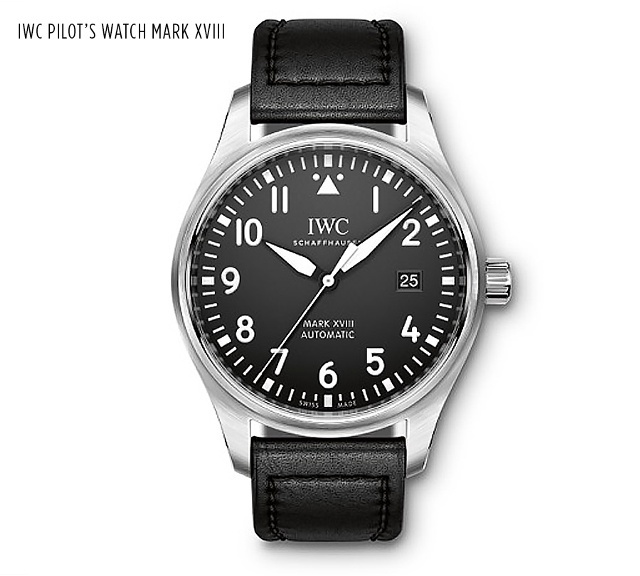 For 2016 IWC is focusing eyes on its pilot’s collections. The company has re-tooled models in its Big Pilot’s, Spitfire and Top Gun collections, while adding a new range based on the Antoine de Saint Exupéry and Le Petit Prince collections IWC has offered in limited numbers for many years. 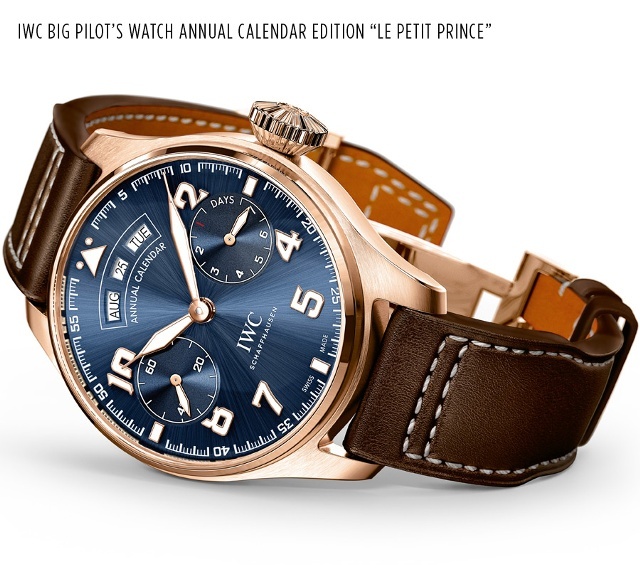 Some 2016 highlights include a first-ever annual calendar in a pilot’s model (within the Big Pilot’s Watch Annual Calendar Edition Le Petit Prince), a selection of 36mm Pilot Watch Automatics and a new Timezoner world time pilot watch. The first such calendar within any of IWC’s pilots collections, this model features the three-window annual calendar that made waves when it debuted last year in the Portugieser collection. Arranged in a semi-circle at the top of the dial are the month, date and day of the week. Inside this 46mm red gold watch is the IWC Caliber 52850 with twin barrels strong enough to deliver the higher torque needed to drive the annual calendar’s three display discs. In addition, when fully wound, the two barrels supply enough energy for a full week’s power reserve. The watch’s gold rotor pays homage to Antoine de Saint-Exupéry’s Little Prince by engraving his likeness as if standing on his tiny asteroid (the rotor) and staring at the heavens. IWC Schaffhausen is launching the Pilot’s Watch Mark XVIII as an entry-level model with a calfskin strap or stainless-steel bracelet. Within the 40mm stainless steel case is the automatic-wound in-house Calibre 30110. 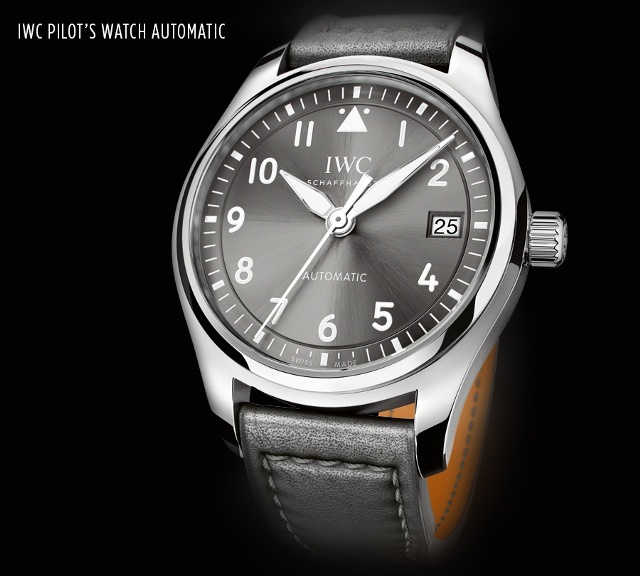 Visually, the contrasting dial and displays come very close to the ideal of the classic pilot’s watch – hardly surprising when you recall that the designers took their inspiration from the 1930s Junkers Ju 52 cockpit instruments, which have served as one of the models for classic pilot’s watches. 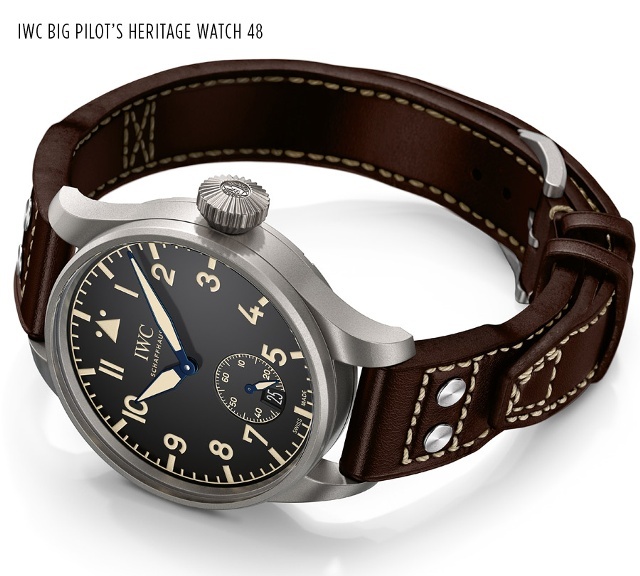 For 75 years, the historic Big Pilot’s Watch was the largest wrist-watch ever made at IWC in Schaffhausen. 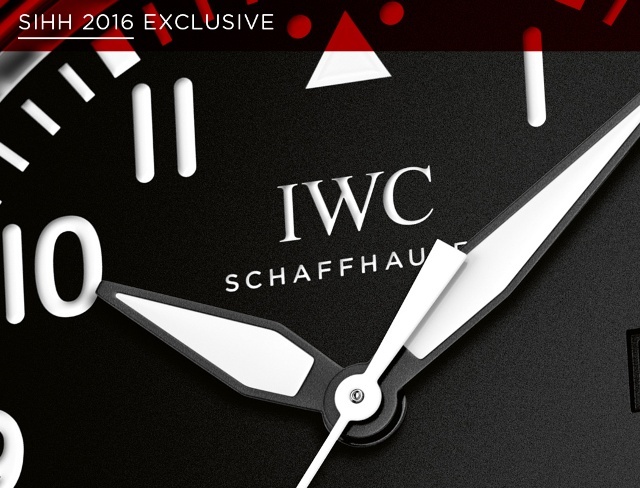 In 2016, IWC Schaffhausen unveils a successor with an extra-large 55mm case diameter, which is larger than the 1940 version that actually saw wartime action. Limited to 100 examples, this model differs from its 1940 original in that it doesn’t have a central seconds hand. Instead, the small seconds is found at 6 o’clock as pulling out the crown can stop its IWC hand-wound 98300 caliber. IWC will make 1,000 of the 48mm model, which is more suited to everyday use with a lighter titanium case (which reduces its weight to 120 grams). Inside, its IWC hand-wound 59215 caliber gives the owner an eight-day power reserve. Both models are protected against magnetic radiation by a soft-iron inner case. As IWC moves ahead with plans to expand its offerings priced from $4,000 to $6,000, among its first models that fit this price category can be found within this new 36mm collection. This slimmer model is the smallest watch in IWC’s current pilot’s collection, and it will be offered with a choice of five models with three different dials. The tradition of smaller Pilot’s Watches is inspired by the legendary Mark 11, which also measured 36mm in diameter. The Pilot’s Watch Automatic 36 (Ref. 3240) is intended for watch lovers both male and female with a smaller wrist. The dial design of these three-hand watches remains uncluttered, however. Note the recessed inner circle, which lends the dial a more structured, three-dimensional appearance. Apart from hour, minute and seconds hands, the Pilot’s Watch Automatic 36 also has a rapid-advance date display, all powered by the firms’ caliber 35111. It features central hacking seconds and is protected by a soft-iron inner case to guard against magnetic fields.